Reims is one of France’s most vibrant and cosmopolitan cities. It offers visitors a great choice of fine restaurants, brasseries and shops, lively nightlife, concerts, festivals and cultural events, and of course, world-famous Champagne houses to visit and sample the local nectar. With tree-lined avenues, elegant squares and a magnificent Gothic style cathedral that played host to the coronation of several kings of France, Reims is a city for all occasions. Opening hours: Shop opening hours are generally from 9am-7pm. Small shops might stay closed for an hour over lunch. Shops are closed Sundays or open at their own discretion. Open: Mon-Sat 9am-6pm. 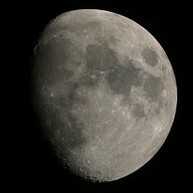 Sundays and holidays 10am-4pm (winter). Mon-Sat 9am-7pm. Sundays and holidays 10am-6pm (summer). Open: Mon-Thu and Saturday 8.30am-6pm. Fri 8.30am-7pm. Sundays and holidays 11am-5pm. 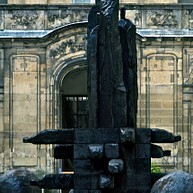 Reims has no less than four monuments listed as UNESCO World Heritage sites. The city is also known for its famous Champagne houses that are open to the public; many of them provide tours of their cellars, wine tastings and gala dinners. Reims is also a city of plants and flowers – it has been awarded four flowers as part of the prestigious Villes et Villages Fleuris flower competition, the highest of any French city. This city will truly leave a lasting impression. 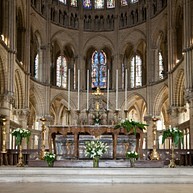 Notre-Dame de Reims is a Roman Catholic cathedral where the kings of France once were crowned. The most famous one was Charles VII, who had Joan of Arc at his side, in 17 July 1429. In the year 2011 this impressive structure celebrated its 800th anniversary. 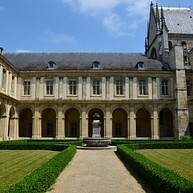 The Fine Arts Museum is housed in the former living quarters of the Abbey of Saint-Denis. The museum has extensive collections from the Renaissance to the present day. The famous benedictine abbey of Saint-Remi contains the shrine of the Holy Ampulla, which was used for French kings’ coronations. This magnificent building in classical style will satisfy anyone looking for typical examples of early/Gothic architecture. Le Planétarium is the ideal place to become familiar with the constellations, discover the planets of the solar system and the whole universe. This place features multimedia technology. Museum of the Surrender, Le Musée de la Reddition in French, contains old artefacts from the surrender of German forces during World War II. This is the perfect museum for anyone interested in history. Inspired by the primitive Christian architecture, the Chapel of Our Lady of the Peace, inaugurated in 1966, was thought up by Léonard Foujita. This chapel is open during the summer months from May to October. Residence of the bishops and later the archbishops of Reims, this palace is now the museum of the architectural construction of the cathedral. Visitors can still see how the palace used to look during the 16th century. 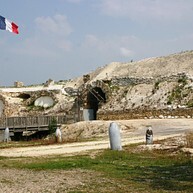 This fort was built by General Séré de Rivière in 1880. Heroically it resisted throughout World War I from 1914 to 1918 under German assault waves and bombardment. 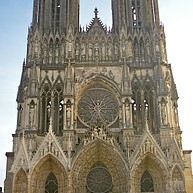 The 121 metres long Basilica of Reims was built around the year 1000. It is classified as a historical monument and a Unesco World Heritage Site and was formerly attached to the monastery Abbey of Saint-Rémi of Reims. A stay in Reims would not be complete without educating yourself about the famous sparkling nectar. 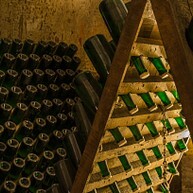 Visit one of the many champagne houses based in Reims. Pay a visit to Pommery’s cellars that contain some of the most spectacular chalk carvings in the whole of champagne. Mumm is worth visiting too. The company has recently updated its tour and includes a museum area featuring old tools of the trade. 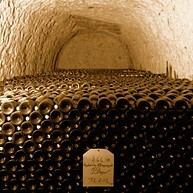 Taittinger, the famous Champagne, could be a must-see if you appreciate Champagne. You can take part to guided tours here and experience the fabulous world of Taittinger, with its high-quality products and their various taste. The fun, brilliant Villa Demoiselle in Reims has become an architectural landmark of the city. This champagne house was restored in 2004 and today you can come here and enjoy the blend of Art Deco and Art Nouveau. 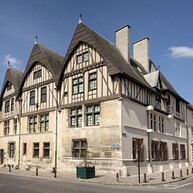 As one of the oldest civil buildings of Reims, the Musée-Hôtel le Vergeur offers a journey back to the 13th century. Here you can see furnished period rooms and stunning interior design. This old racing circuit from the 1950’s can be found just outside the city. If you are a fan of motor sport, this place will truly catch you interest. 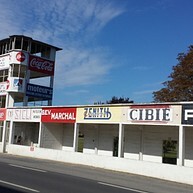 Circuit de Reims-Gueux has hosted various big events during the years.